With so many skin cleansers on the market, it can be difficult to decide which products might work best for your skin. Selecting the best skin cleanser starts with knowing your skin type and narrowing your search to find high-quality, expert-recommended products designed with your skin type in mind. According to Wendy Lewis, Founder and Editor in Chief of Beauty in the Bag and author of several books on beauty, "Normal skin can use a basic, gentle cleanser daily to remove makeup and excess dirt." Timeless by Pevonia Foaming Gel Cleanser: Launched in May of 2013, the Timeless by Pevonia skin care collection was inspired by Pevonia's international "best-selling professional skin care products and treatments." The line's foaming gel cleanser receives rave reviews on the Loxa Beauty website, where customers praise its light, non-drying consistency. A four-ounce bottle costs $32. Bodyography SKIN Daily Cleanser: Long-recognized for its award-winning and environmentally friendly makeup products, Bodyography has entered the skincare market with the Bodyography SKIN line. The line's Daily Cleanser is sulfate- and paraben-free and it contains alpha hydroxy acids, making it a perfect choice for those who want a gentle cleanser that will also help battle the signs of aging. A five-ounce tube costs $26. La Prairie Water-Activated Foaming Cleanser: If you're looking for a luxurious cleansing experience, Lewis recommends La Prairie Water-Activated Foaming Cleanser. She states, "It contains natural plant extracts and becomes a lovely mousse for a luxury spa-like cleansing experience." It is recommended in Luxe Spa magazine as "the most universal of the La Prairie cleansers." A 4.2-ounce tube costs $80. If you have sensitive skin, it's important to look for cleansers that have as few ingredients likely to cause allergic reactions as possible. Some of these products are labeled as hypoallergenic and others have labels indicating they are for sensitive skin. The ingredients list is what is really important when searching for a cleanser if you have sensitive skin. You don't have to have sensitive skin to use these products, so you may want to try these options even if you haven't had a reaction to skincare products in the past. 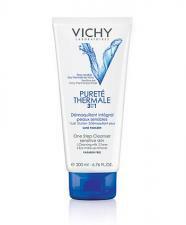 Vichy Pureté Thermale 3-in-1 One Step Cleanser: This lightweight cleanser is ideal for sensitive skin, because it functions as a cleanser, eye makeup remover and toner in one, reducing the need to expose your skin to multiple products. The formula has been allergy tested and it is free from alcohol and parabens. Reviews on DERMSTORE praise the product for providing a fast, non-drying solution for sensitive skin, and this cleanser is an Allure Best of Beauty award winner. A 6.7 ounce tube costs $19.50. Cetaphil Gentle Skin Cleanser: Lewis recommends this mild cleanser, which is especially formulated to not irritate skin and is actually suitable for all types of skin. It has been recognized with Best of Beauty and Readers' Choice awards from Allure. According to Cetaphil, the product has received 38 awards and is the company's "best-seller and fan favorite." A 16-ounce bottle costs less than $11. Simple Foaming Cleanser: Simple's tagline is "sensitive skin experts," so it's no surprise that the company's foaming cleanser is a good one to consider if you have sensitive skin. It has no artificial fragrances or harsh irritants, so it's no wonder that reviews on TotalBeauty.com praise it as being non-irritating and "great for sensitive skin." Lewis describes it as a cleanser that is "mild enough for daily use and gets the job done." A five-ounce container costs around $8. CosMedix Purity Solution Nourishing Deep Cleansing Oil: This nourishing, antioxidant-rich deep cleansing oil can be used on sensitive skin of all types. The Medico Beauty blog states that it provides "nourishment for even the most hyper-sensitive skins," reporting that it is nourishing and hydrating to clients with dry skin, while those with oily skin benefit from its deep cleaning properties and ability to reduce sebum production. A 3.3-ounce container costs $35. Lewis cautions, "Dry skin should not be over-cleansed. Stick with a gentle cleansing once daily to avoid stripping natural oils from your complexion." Murad Essential-C Cleanser: This cleanser is one of Lewis' favorites for dry skin, particularly sun damaged skin. Its formula is rich in antioxidants and is designed specifically to re-hydrate dry skin. Reviews on Dermstore.com are overwhelmingly positive, with comments emphasizing the product's ability to get clean skin without drying or irritating. A 6.5 ounce tube costs $36. Avene Gentle Milk Cleanser: Designed for dry and very sensitive skin, Lewis also recommends this product for dry skin. She states, "It works wonders for skin that is compromised, reactive or prone to flaking." Vogue India recommends it as "a creamy wash which soothes problems of dryness and flaking." A 6.76 ounce bottle costs $20. La Roche Posay Toleriane Dermo-Cleanser: Lewis also recommends this multitasking product for dry skin, stating that it "removes surface grime and all traces of makeup without irritating skin." A 6.76 ounce bottle costs around $24. Reviews on LovelySkin.com are very positive, with customers praising it for cleansing effectively and gently while adding moisture. Lewis advises, "Oily skin needs cleansing products that remove dirt and debris, keep pores clear and are effective at reducing daily oil production that causes clogged follicles and acne." PanOxyl 4% Acne Creamy Wash: The PanOxyl line includes several products with different concentrations of benzoyl peroxide ranging from 3% to 10%. The 4% creamy acne wash is a good option for daily cleansing, as its creamy formula won't leave your skin feeling overly dry or tight. Reviewers on LovelySkin.com praise the product, with one calling it "one of the best cleansers for acne prone skin." 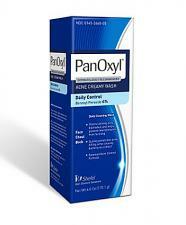 FacingAcne.com states that PanOxyl cleansers for acne prone skin "really do work." Aveeno Clear Complexion Foaming Cleanser: Lewis recommends this product as a gentle cleansing option for oily skin. Allure.com praises the cleanser's "5 percent concentration of salicylic acid," stating that it "is low enough to be gentle on skin but still potent enough to effectively stave off breakouts." In Style recommendeds the product as one of its 'Best Beauty Buys'. A six-ounce bottle costs around $7. Clinique Acne Solutions Cleansing Foam: Lewis recommends this product for daily use, stating that "it keeps pores open and clear and works to prevent breakouts with potent ingredients found in prescription acne medications." Review on Ulta Beauty indicate the product works very well for oily, acne-prone skin. Reviewers on Sephora also rate the product highly. A 4.2-ounce container costs $20. First Aid Beauty Skin Rescue Deep Cleanser With Red Clay: This foaming gel cleanser is ideal for oily, acne-prone skin. Its gentle formula is free from sulfates, parabens and phthalates, but the formula is powerful enough to tackle clogged pores, get rid of excess oil and cut down on sebum production. A review on the Kristi Encounters blog states that the product does a good job controlling oil without drying the skin. A 4.7-ounce tube costs $24. Lewis states, "Combination skin is a lot like normal skin, and is the most common category. A combination complexion may be dry in some areas - like around the eyes and cheeks - and oily in other areas where there are more oil glands - like the nose, chin and forehead." Products designed for combination skin typically work well for most people - all but those who have extremely dry or extremely oily skin. 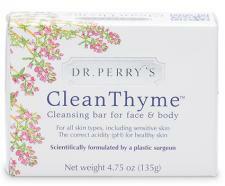 Dr. Perry's Clean Thyme Cleansing Bar: Developed by plastics surgeon Arthur W. Perry, MD, FACS, this cleansing bar is made only with healthful ingredients and has a pH of 5.5, which matches skin acidity. It is free from drying and reaction-inducing ingredients like sulfates, parabens, phthalates, artificial fragrances or dyes, and it can also help with oily areas. Facialist Joanna Vargas recommends it to "calm overactive oil glands" because the thyme can kill bacteria that cause acne. A package of three bars costs $45. Dr. Gross Skincare All in One Cleansing Foam: Lewis recommends this product for combination skin "because it does double duty to cleanse, remove makeup, and even tones and purifies the oily areas as a bonus." If your combination skin is also sensitive, this vegan product that is free from parabens and sulfates may be a good option for you. It has been recognized as an Allure Best of Beauty winner and chosen by the editors as a Winter Skin Secret. A five-ounce bottle costs $36. Korres Pomegranate Cleansing and Makeup Removing Wipes: If you like the convenience of a cleansing wipe and the smell of pomegranate, consider these wipes. Lewis recommends these wipes, saying that they "have a lovely scent and remove surface dirt without sulfates." A review on the Ommorphia Beauty Bar blog indicates they are ideal for combination skin with an oily component, as the pomegranate extract functions as an astringent while other ingredients add moisture. A pack of 25 wipes costs $15. Cerave Hydrating Cleanser Normal to Dry: Lewis suggests this product for people with combination skin that tends to go towards dry in colder weather. She states, "In a convenient pump bottle, it contains ceramides for moisturization and is non comedogenic so won't cause breakouts where you tend to get oily," even though it is marketed to those with normal to dry skin. 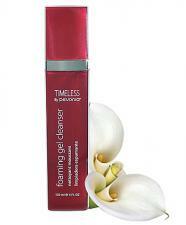 Its benefits for all types of combination skin are backed up by positive Makeup Alley reviews. A 16-ounce bottle costs around $11. "If your skin feels tight or dry after cleansing and looks pink, flakey or irritated, then the cleanser you are using is too harsh for your skin." "If your skin develops an oil slick soon after cleansing it is likely that your skin is producing extra oil to compensate for a cleanser that is too drying and dehydrating for you. In contrast, if you have clogged pores or breakouts, that means your cleanser is not thorough." "If you experience problems with a particular cleanser, stop using it immediately and try another product made for your skin type that has a different combination of ingredients." 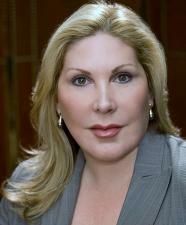 Disclosure: The author received free samples of some of the products listed in this article. This did not affect selection of products to be included.